AUBG alumnus Kristian Nikolov (‘16) recently got accepted at the prestigious MSc in Analytics at Northwestern University. He will study there on a Tchaprachikoff scholarship— a scholarship fund set for AUBG graduates from Bulgaria who get accepted at a top 20 U.S. school. 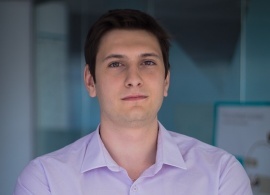 Nikolov believes that what helped him get there was his natural inclination for statistics, his solid academic preparation and his valuable professional experience at award-winning data analytics firm GemSeek. 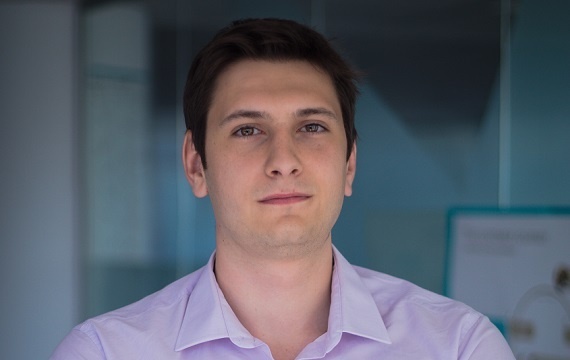 Just within two years of working there, Nikolov—a mathematics and economics major at AUBG— became the youngest employee at the company to be promoted to a Senior Analyst. Nikolov’s career at Gemseek began when he got accepted for an internship at the company during the annual AUBG Job & Internship Fair. What was your first job after AUBG? What have you been up to ever since? Up until I graduated, I had no idea what I wanted to actually do for a living. I was thinking about getting into consulting after AUBG, but I found my first internship at the AUBG job fair right before my senior year and started off as a Business Analyst at GemSeek. It was there where I had the chance to start working with data, and eventually start a full-time job after I graduated as a Data Analyst. I’m still at GemSeek (just finished my second year there) and am incredibly grateful to the team and overall attitude towards my career development the company has had throughout my time here. What prompted you to pursue an MSc in Analytics and why did you choose to apply to Northwestern University? I’ve always been a math and data-oriented guy. Back in AUBG, my favorite courses were easily Professor Erdinc’s Econometrics and Time Series courses, along with Professor Slavov’s Numerical Analysis course, while my natural inclination for statistics helped me during my time as a tutor for Professor Hristo Iliev. Data Science and Analytics was the natural progression of my strengths, combining complex statistical concepts to help solve real world problems. Northwestern’s MSc in Analytics programs is one of the first and best Data Science programs in America, combining a great curriculum with a cohort with very diverse backgrounds and a very strong alumni network, making it an easy decision to accept their offer. How did you decide to apply for the Tchaprachikoff scholarship? The Tchaprachikoff scholarship was actually the reason I decided to enroll in AUBG back in 2012. The idea of no-strings-attached financing for a high-quality graduate degree was strong enough to help me decide to study in Bulgaria, while most of my friends were accepting college offers abroad. Definitely one of the best decisions of my life so far. What would be the impact of this scholarship on your life and career? Thanks to the scholarship and the more-than-generous financial aid Northwestern offered me, my overall tuition is only a fraction of what it otherwise would have been. While most Americans graduate from their graduate studies up to their neck in debt, thanks to the America for Bulgaria full-tuition scholarship I had for my undergrad at AUBG and the Tchaprachikoff scholarship, I will (hopefully) be able to pay off my educational debt almost immediately after I graduate, which is an incredible privilege. What would you advise other alumni who would like to use this scholarship opportunity in the future? Many people were urging me to start applying for graduate programs during my senior year, and I am incredibly happy I didn’t listen and waited for a couple of years before I did. Being part of the work force really gave me a perspective which I otherwise wouldn’t have had, which not only pointed me towards a graduate program which I am certain will be a great career boost, but also helped me develop interpersonal skills which the theoretical environment of AUBG’s classrooms had not. Tell us a bit about your time at AUBG. In what ways have your AUBG education, experience, professors and friendships had an impact on your career and who you are today? Are you still in touch and collaborating with other AUBG graduates? The closely-knit community AUBG created via the dorm system has definitely helped me build friendships with the most unexpected people, most of which I continue to cherish. My time being part of TEDxAUBG is also one of the things which have shaped me the most while in AUBG, and one of the things I look forward to every April is going back to Blago for the annual TEDx event; especially the speakers’ dinner afterward.